EH2R - latest work in progress: New World Order in global atmospheric circulation is taking shape. 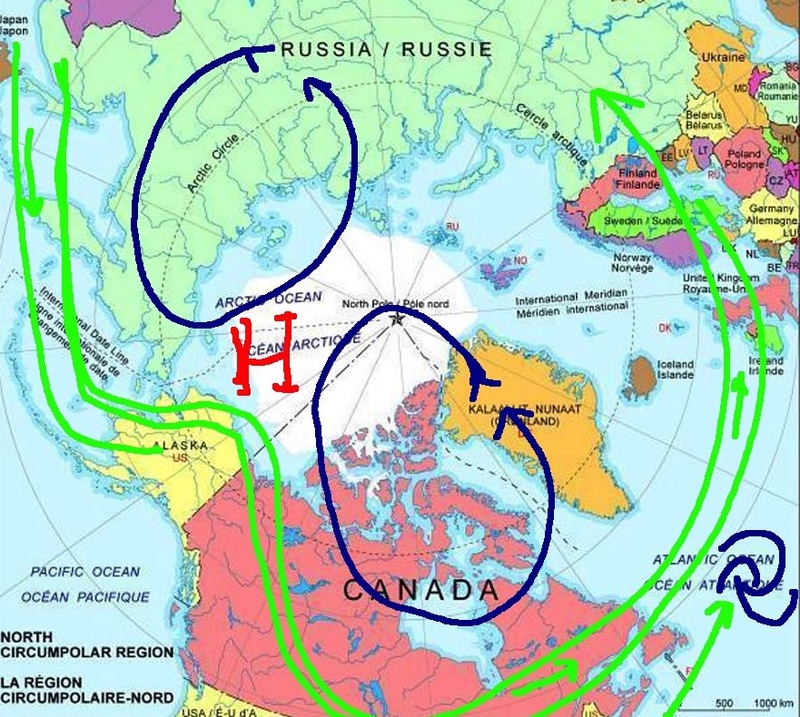 New World Order in global atmospheric circulation is taking shape. ~Hurricane track Northeastwards shift is understood by it. Current autumn 2017 dominant circulation has 2 cold cells, one NE Siberia, the other usually strongest coldest Arctic Archipelago -Greenland zone. This is what dictates a great deal of your weather if you live in the Northern Hemisphere. In Novembers past , the look was different, with the colder zones much vaster. In response 2017 autumn was extremely warm for the largest part of North American NE coast and well further inland. The larger question is whether these cells will remain largely similar for upcoming months. The answer lies in whether we can accurately measure snow cover or not. Current cold zones were largely built from seasonal snowfall. has rendered its initial snow cover thinner, exposing the ground further during darkness only to consolidate the cooling further. 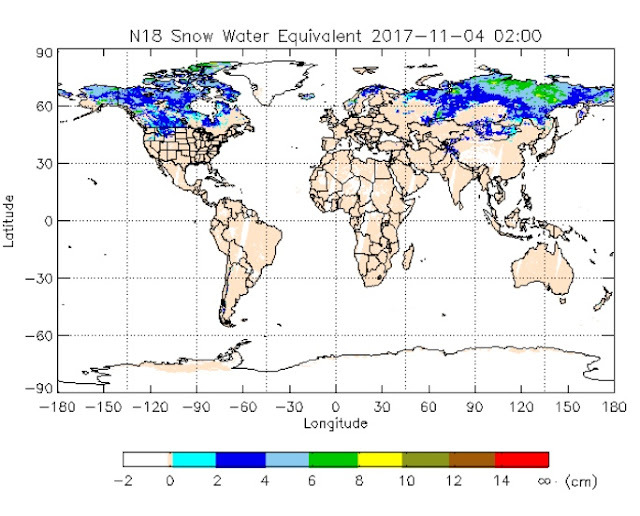 The perfect coldest Northern Hemisphere winter would start with extensive early snowfall in autumn, then none at all for the long Arctic night followed by extensive snow precipitation April onwards. So far 2017 is following that pattern in the CAA. atmosphere survives in summers in the CAA-Greenland region. This is due to great sea ice melts, much more frequent than not in the last 2 decades. Only Greenland and CAA glaciers complement the remainding dwindling September Arctic Ocean sea ice. This solidifies the center of Global Circulation to CAA-Greenland in summer and fall, the flow on NE America's coast has now been intensified, dragging everything found within, warmer weather, Cyclones or hurricanes to move likewise. WD November 5, 2017. Winter 2017-2018 is definitely taking shape.